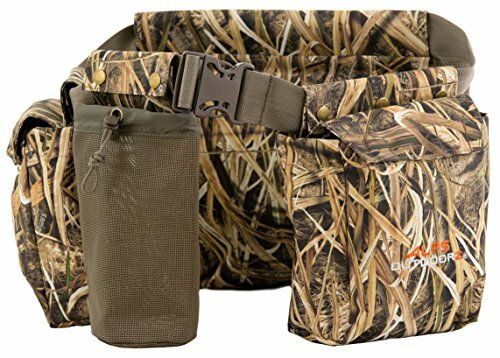 ALPS OutdoorZ Dove Belt is practical and functional when you need your gear ready and right at your side. With four total pockets, you have enough space to store your shells, water bottle, and even your limit of game. The pockets open easily and close magnetically for quick access. Another great feature with the pockets is that you can remove them to adjust the pocket configuration. With the pockets being mesh and removable you can easily clean them after a successful hunt.